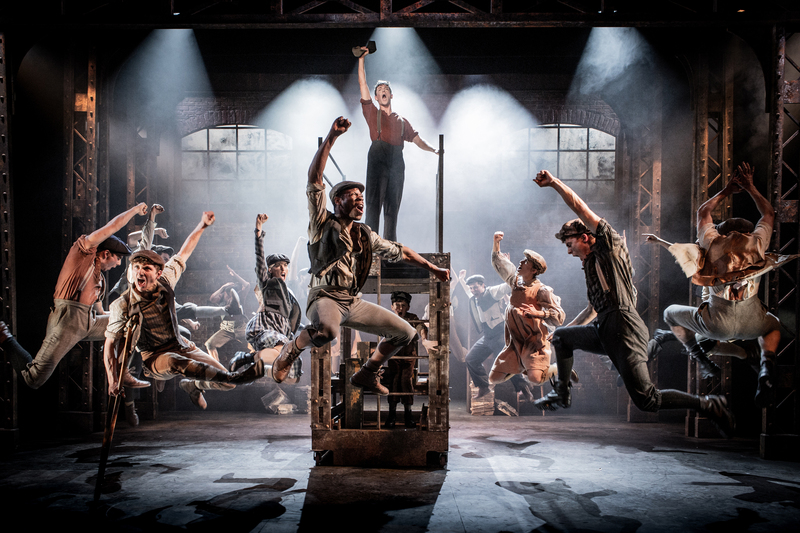 White Light recently supplied the lighting equipment for Disney’s Broadway-smash musical Newsies which recently had its UK premiere at ArtsEd. Set in turn-of-the-century New York, Newsies tells the story of Jack Kelly, a charismatic newsboy and leader of a band of teenage ‘newsies’. 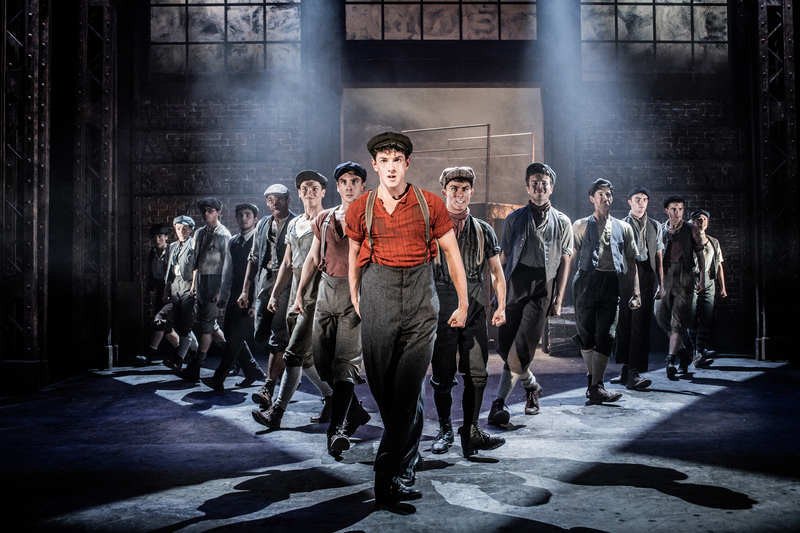 When titans of publishing raise distribution prices at the newsboys’ expense, Jack rallies the newsies together against the unfair conditions to fight for what’s right! 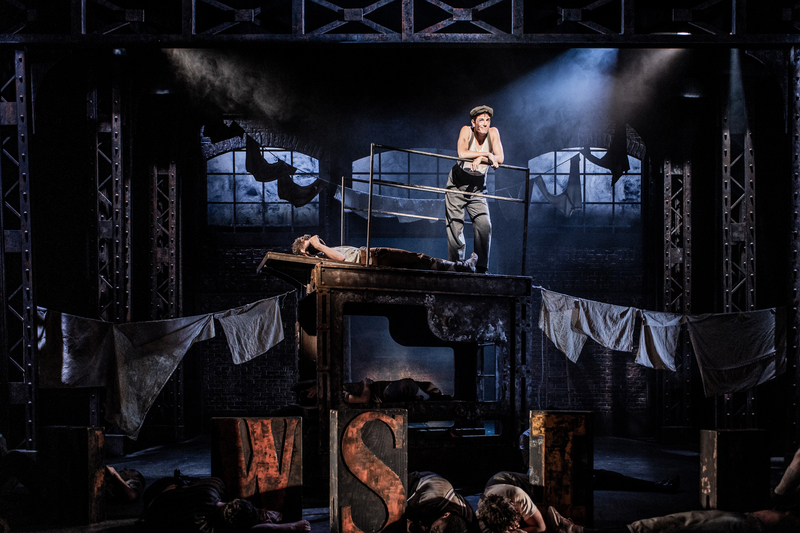 The show was a smash when it played on Broadway and the lighting designer for the UK premiere is Nic Farman. Nic comments: “I hadn’t seen the original Broadway production but the moment I read the script and listened to the score, I knew it was going to be a great show to work on. The key for the creative team was creating a production that had the high production values associated with a show of a larger scale. It was also incredibly exciting as it’s the first time the show has been done in the UK; so we knew the expectations that this carried”. Having become familiar with the show, Nic began to formulate his design. He comments: “I approached the show in the same way I do with my other work: developing a concept that helps frame the action that’s appropriate to the location and time that the piece is set. I was lucky to be working with Luke Sheppard (Director) and David Woodhead (Set Designer) who had created a beautiful set that was full of texture. So a lot of my initial work was finding ways to light the architecture on the stage cohesively which promoted that texture. We also had a clear idea of the colour palette we wanted to use which included lots of cold whites moving through to rusty warm tones and to dial in saturation and help lift the musical numbers”. Once Nic knew what he wanted his design to look like, he approached WL to supply him with the fixtures to achieve this. He explains: “Early in the process I sat down with WL’s Business Development Manager Jonathan Haynes to discuss trying out the VL2600 Profiles on the show. I knew having a versatile moving profile overhead was going to be important and I was really pleased with how they performed. These would go on to become the real workhorses in the production. I asked a lot of them, doing live shuttering and tracking the action, which they dealt with consistently. They’re also nice and punchy which gave me good options for impact cues. Nic adds: “The varied colour palette also called for some flexibility (especially as time was tight for the get in and focus) so ETC Lustr 2’s and ColorSource Spots gave me options for both set dressing and side light. Completing the rig were Martin MAC TW1s which I love using for their warm tungsten output and soft edge”. As this marked the show’s UK premiere, there was a lot of anticipation and the entire run quickly sold out. Nic comments: “This was just a really special project to work on. It’s a wonderful show with brilliant music, so it was a joy to get to put my design spin on it. As a creative team, I think we created a version of the show which sat really well in the intimacy of the Andrew Lloyd Webber Theatre. I’d like to say a big thanks to the team at ArtsEd – Di, Phil, Chris, Molly, Leah and Fran for their hard work in delivering the show”. Alongside Newsies, Nic is lighting the UK tour of David Walliams’ Billionaire Boy, which WL is also supplying. Nic comments: “It was great to work with WL once again on this project, especially Jono and Chris, who offered brilliant support in helping me realise my design. It was another example of the fantastic service which I have come to expect from them”.